After our youngest child, Emily, was killed in a car accident, we gathered our strength to create a foundation that would honor her memory in the most respectful and meaningful way possible. That’s how Emy’s Promise was born. Our journey to discover our foundation’s focus led us to one question. Who needs our help and how can we truly help? Asking this simple question led us to the foster care system. Foster care can, by the nature of the system, plunge children into a perpetual cycle of poverty. Resources are low and risks are high. Many children miss out on opportunities to learn and experience financial literacy and money management; nutrition education; mental health awareness; and relationship building, among many other daily privileges. Each year, approximately 20,000 young adults age out of the foster care system. Without the network of support many of us knew the luxury of, these young men and women face an increased risk of poor educational outcomes, homelessness and unemployment. Young women aging out of the system tend to face even more challenges, including access to reproductive health care and a high risk of experiencing sexual and domestic violence. Our first question was answered. Helping young women in the foster care system would be our daughter’s legacy. Then it was on to how. Emy’s Promise seeks to be the bridge from obstacle to opportunity for young women who are aging out of the foster care system. Emy’s Promise partners with foster care providers and services to offer enrichment possibilities. From horseback riding lessons that teach confidence to group excursions that encourage team building and independence, these life skills teachings help young women act with self-assurance and reason. Emy’s Promise grant recipients are able to pursue higher education without the financial burden that can direct decisions away from long-term goals. Without food insecurity or the fear of homelessness, these women are able to focus on their future. With every young woman we help, we do so in the name of our Emily Rachel. Kayla came to live at the JAFCO Children’s Village when she was 16 years old following a very tumultuous childhood. Kayla is one of 7 children and cares deeply about all of her siblings, worrying the most about her younger siblings. Kayla was part of the JAFCO Independent Living Program. She lived independently, worked part time at the local science museum, and went to school full time at Florida Atlantic University, graduating in 2015 with a degree in Social Work. With aspirations of becoming a Family Law attorney, Kayla is studying for her LSAT’s and taking the prep course made possible by Emy’s Promise. She is very grateful for the assistance offered by the foundation to help her move closer to her goal of becoming an attorney. My name is Stephanie. I am 19 years old and currently a sophomore at Florida Atlantic University. I was in foster care for two years and my experience inspired me to major in Social Work. I’m planning to get my masters and become a child advocate so I can represent foster kids in court and help them prepare for a better future. This past year was very exciting for me because I got to live in a college dorm and also move into my very own apartment. I also began my first retail job at the Nike Factory Store. Thank you so much to all the donors for your love and support. None of this would be possible without your help. Since December of 2016, I have been able to expand my sights when it comes to what I see in my future. I originally wanted to go to medical school but as of this moment, I have been between that and law school. Earlier this year, I applied for the Donald J. Weidner Summer for Undergraduates at Florida State’s Law School. I honestly didn’t think I would be accepted as a freshman science major, but I was! Which was amazing! Being in that program has introduced me to many different attorneys, judges, senators, and more – even meeting the attorney for Trayvon Martin’s case, along with those working on the Florida Project to help teens in juvenile detention or with extended sentences. Through this program, I was also able to meet Mr. Alan Abramowitz, the Executive Director of the Statewide Guardian Ad-litem program. He has officially offered me an internship for my junior year in working for his office! After the summer of 2017, I joined a few clubs and am now a part of the Southern Scholarship Foundation where I get to live when I am at school. In going forward, I am hoping to become President of my house next semester (I need to run for this position). On campus, I have been in the process of stepping up for the position of President of the Unconquered Scholars Program. The Unconquered Scholars Program is a program that works with students who have experienced homelessness, foster care, relative care or ward of the state status. In stepping up, I have been in charge of multiple things such as planning our trip during Parent’s Weekend (where grades for these particular students drop since their parents are not attending) and ended up going camping at Bear Lake here in Florida. I also helped start a new branch of the Unconquered Scholars program. We are working with Children’s Home Society in Jacksonville to start a mentoring program with foster youth. We have gone to visit them as well as brought them to FSU for a day. I have continued to be a guide and delegate on campus and have been branching out in the community, as I am also working on Relay for Life and a few other programs. In finishing up my sophomore fall semester, I have volunteered for Rally in Tally. Rally in Tally is an event where foster families, case managers, and more come to Tallahassee to advocate for foster youth rights and things that need to be changed around the state of Florida. I have also been invited to speak at a few events. As the President of the Unconquered Scholars, I was also able to work closely with the Florida Coalition for Children by meeting with representatives and speaking to executives of multiple organizations, including Mr. Abramowitz again. Moving forward to next semester, I am hoping to intern in the capitol (I will find out by January) and plan a program trip to Disney for Spring break. I will also be helping to run a financial literacy program for freshman in the CARE Program on campus. This semester has been ultimately amazing and I enjoyed all of my classes- sociology, philosophy, American government, and especially my Hebrew course and all went pretty well. Kenisha was taken from her home and her siblings at age 5 due to her parents’ substance abuse problem. She spent time in relative and non-relative care, suffering neglect, abuse and even homelessness over the course of several years. She was basically ‘lost in the system’ between ages 5 to 16. When she tried to register for school at 16, she was put into a foster group home by the Department of Children and Families. Because she ‘aged out’ of the system in non-relative care, she became ineligible to receive funding for transitional services while in college. Despite this, Kenisha was determined to receive a high school diploma and attended extra night classes and worked, as well, to support herself. She successfully received her diploma and went on to receive her AA degree from Miami Dade College in Social Work. Kenisha then enrolled into Florida State University, graduating in 2015 with a BSW and is currently pursuing her MSW/JD. Kenisha was very involved in her Miami Dade campus and worked as the America Reads coordinator for the Institute for Civic Engagement and Democracy, President of the International Rotaract Club (Rotary in Action) , Phi Theta Kappa International Honor Society Member, steering committee member of Mobilize, team leader for the Martin Luther King’s Day of Service and a volunteer for Parents without Partners. Kenisha’s biggest passion is advocacy and she is an active member in Florida Youth SHINE, a statewide youth-led advocacy org under Florida’s Children FIRST. Kenisha has spoken in Tallahassee with Florida Youth SHINE where she met with over ten legislators and was interviewed on the local NPR North Florida station (which you can listen to here). In the summer of 2014 she was an AllStar for Foster Club in Portland, Oregon. There she was an advocate for foster youth while gaining important leadership skills. Currently, I am a Dependency Case Manager at the Center for Family and Child Enrichment Inc. Alongside my career, I am a full-time graduate student at Florida International University pursuing a Master’s Degree in Public Administration. In addition to my MPA, I have earned a certificate in Human Resources and Policy Management. My expected graduation date is Fall 2018. I have several goals that I plan to accomplish in the year of 2018. These goals include learning more about myself and life, incorporating a business and continuing my education. I would like to earn a law degree and establish a non-profit organization focusing on independent living; housing for young adults that age out of foster care, mentorship, scholarships, financial literacy and community engagement. My name is Tina. I am currently a freshman at the University of South Florida. I am majoring in pre-nursing in hopes to become a pediatric nurse practitioner. This fall semester, the different scholarships I received, like Emy’s Promise, not only helped lessen the financial burden on my shoulders but also allowed me to focus on my academics and extracurricular activities. I was able to become the Lieutenant Governor for my hall council executive board and the Community Direct of USF Sociology club. I accomplished all this while maintaining a 3.0 GPA. Next semester, I intend to keep my leadership titles while applying for more. I am excited to apply to become a USF Student Ambassador so I can open up more doors for myself while strengthening my network. I hope to stay on this positive track throughout the four years I will be spending at the University of South Florida. Thank you for your generosity and the opportunity you have given me through the Emy’s Promise Scholarship. I am now able to focus on receiving a higher education and reaching my future goals. Some recipients wish to remain anonymous, a request we will always honor. For more information, please contact us at info@emyspromise.org. Thank you for your interest. Amazon donates 0.5% of the price of eligible AmazonSmile purchases to customers’ charities of choice. 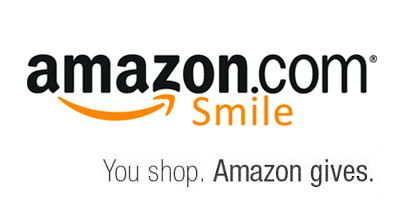 Simply log into Smile.Amazon.com and choose us as your charity.